The second edition has incorporated all the revisions necessitated after the issue of Amendment No. 1 of January 2012 to IS 800:2007. The book is primarily designed for students of civil/structural engineering at all levels of studies--undergraduate, postgraduate and diploma--as well as for professionals in the field of structural steel design. 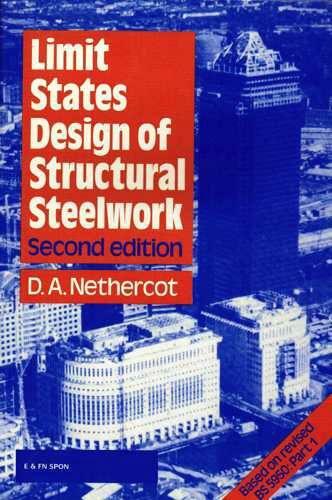 It covers the fundamental concepts of steel design from the perspective of the limit state design concept as per IS 800:2007, with focus on cost-effective design of industrial structures, foot bridges, portal frames, and pre-engineered buildings. The connection design details are discussed concurrently with the design of members. The book covers the subject matter, with the help of numerous practical illustrations accompanied by step-by-step design calculations and detailing, in 14 chapters--including a chapter on pre-engineered buildings.Solved examples as well as exercises are provided in each chapter to enable the development of a strong understanding of the underlying concepts and for testing the comprehension acquired by the students. The geometrical properties of rolled steel sections, often required as per the revised clauses of IS 800:2007 and not appearing in the existing steel tables, are given in Appendix A for ready reference.